Dancing with the devil | Where's my backpack? 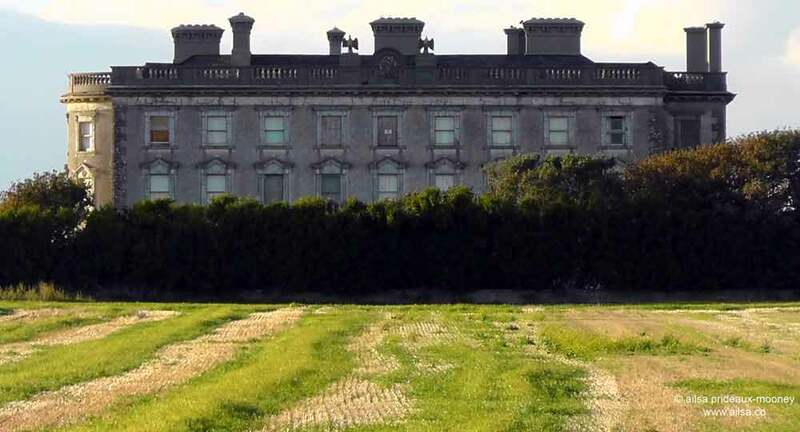 Tucked between Templar ruins to the north and an ancient lighthouse to the south, Loftus Hall is a foreboding presence on the Hook Peninsula, even on the sunniest of afternoons. Originally home to the Redmond family from around 1350, it was gifted to Nicholas Loftus in the early 1650s after the Cromwellian wars. 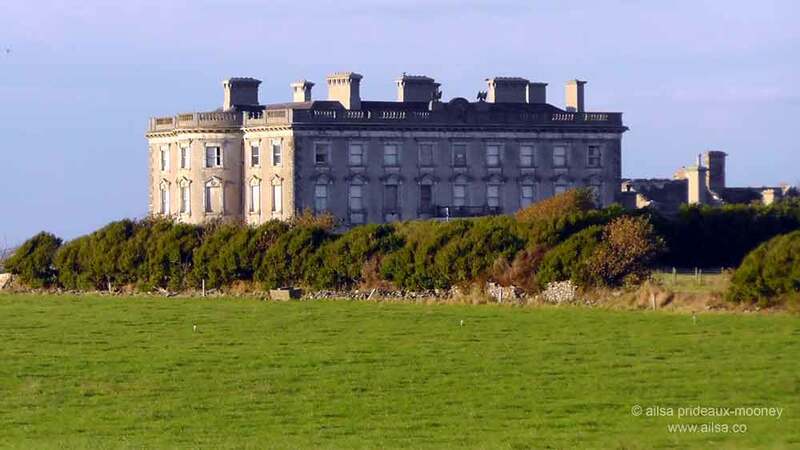 The building became known as Loftus Hall when son Henry Loftus took up residence there in 1666 but it took another hundred years for things to get really creepy. Charles Tottenham had married Anne Loftus and had two daughters, Elizabeth and Anne. In 1768 Anne Loftus died and after a suitable period of mourning, Charles married his cousin, Jane Cliffe, in 1770. Charles, Jane and Anne Tottenham took up residence in Loftus Hall; the oldest daughter Elizabeth was married at this point. One violently stormy night, a young man knocked at the door of Loftus Hall looking for refuge from the storm. He was admitted and proved to be such a charming companion he endeared himself to all members of the household, especially the daughter Anne. He stayed for quite some time and they spent their evenings playing cards; Anne and the stranger partnering up against Charles and Jane; the young couple winning every game. Anne fell for the young man, but her father and stepmother didn’t approve. Here is where the story takes two very different paths, both with the same tragic outcome. One version of the story has the young man being told to leave, and when he departed, Anne had a complete breakdown. It proved such an embarrassment to Charles and Jane that they locked her away in a room known as The Tapestry Room and there she remained until she died in 1775. The other story that spread throughout the local community was that one night, whilst playing cards, Anne dropped her ring on the floor and when she bent down under the table to pick it up, she noticed that the young man had cloven hooves instead of feet. She realized she was in the presence of the Devil himself and upon being discovered, he disappeared out through the roof in a thunderclap, leaving behind the smell of smoking brimstone and a great big hole in the ceiling. Some believe it was a story spread by the Tottenhams themselves to explain away Anne’s subsequent decline into insanity. Others believe it really happened. Either way, poor Anne spent her remaining years locked away in the Tapestry Room where she allegedly sat, hunched over, staring out to sea waiting for her love to return. When she died, they had to construct a special coffin because her muscles had seized up and her bones had fused into a hideously deformed shape from her constant vigil staring out the window. The cloven-hoofed stranger is thought to have returned time and again looking for Anne and causing all kinds of poltergeist disturbances in the house. The family brought in several Protestant clergymen to rid themselves of the problems, but to no avail. Then they turned to a Catholic priest who was living on the estate, a Father Thomas Broaders, who is believed to have successfully exorcised the evil spirit. But that did not put an end to the paranormal activity. Throughout the years, all kinds of visitors have reported seeing the figure of a young woman passing through the Tapestry Room. 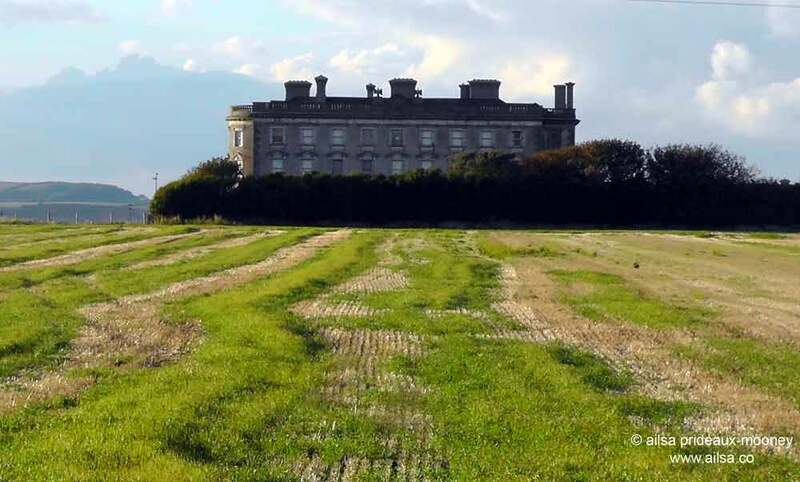 As recently as this summer, Loftus Hall was in the news when ghostly images were captured in a tourist snapshot. It would appear that the brokenhearted spirit of Anne Tottenham is still very much at large. This entry was posted in Europe, Ireland, Photography, Travel and tagged halloween, history, inspiration, ireland, photography, pictures, travel, writing. Bookmark the permalink. Lovely story for Hallowe’en, and wonderful photos! Happy Hallowe’en to you, too! An interesting story Ailsa. 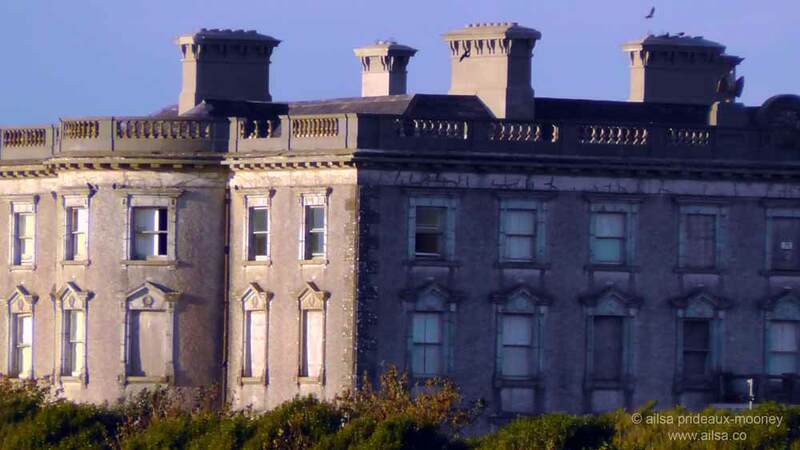 After visiting Hook Lighthouse in 2011 we saw Loftus Hall looking very forlorn in the setting sunlight. I wish we has known this story then. Before the digital days after I got photos back from the processor, I found I had captured many ghostly apparitions during a visit to Port Arthur convict prison in Tasmania so it doesn’t take much to convince me! Scary looking place no matter what you believe. Great blog. Its certainly a bit gloomy, just the sort of place to create creepy stories! Spoooooky! Beneath the legend, wonder if we have a more mundane tale of a tragic chemical imbalance in the brain… its not like history has been terribly kind to those with mental illness. Creepy & good story for Halloween! That creepy house needs a few ghosts! Great story and interesting photos! What a sad story…knowing this history must make a tour through this building even more spooky. Absolutely, but the building has a dark presence even without knowing the story first. The first time I spotted it, it gave me a sinking feeling. I only learned its history at a later point. Isn’t it amazing how a building can hold energy that is so noticeable…I’ve been in structures that made my skin crawl (I am thinking of the slave castle in Ghana I visited a over 30 yrs ago, but I still remember the feeling). What a lovely story?! Many thanks for sharing!